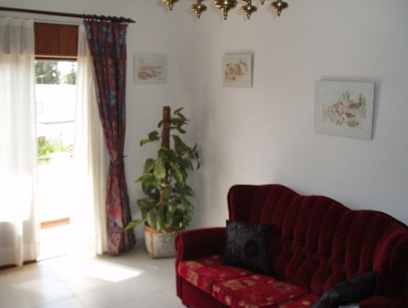 This lovely apartment is located in Terra Estrieta, Santa Luzia just outside the town of Tavira on the Algarve. 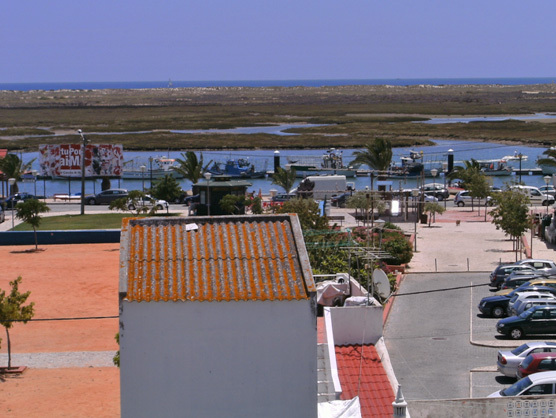 Santa Luzia is a quiet fishing village on the Ria Formosa, a natural beauty spot and perfect for a peaceful holiday home. 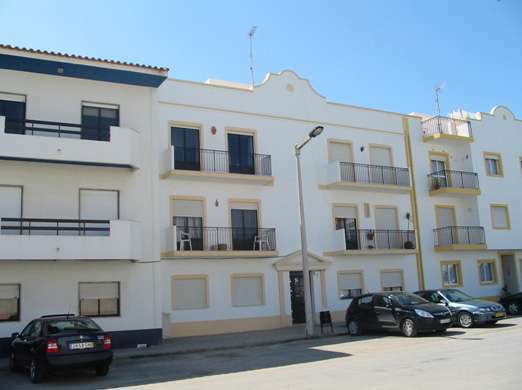 The apartment is 2 mins walk from the beach and 800 m from the fishing harbour. 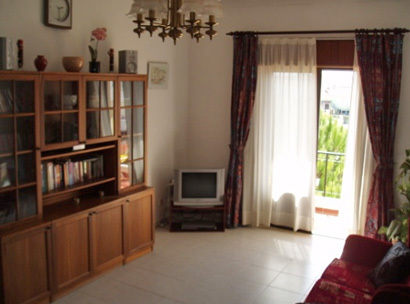 The apartment comprises a spacious lounge, a fully fitted kitchen with dining area and a utility room with washing machine and iron. 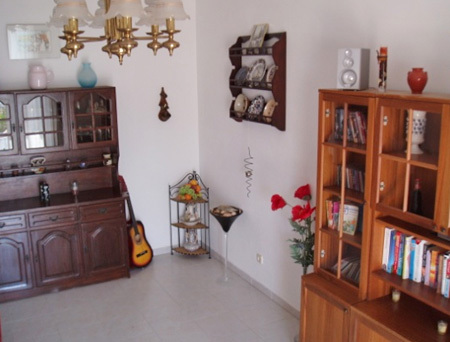 There are 2 double bedrooms and a family bathroom with shower and toilet. 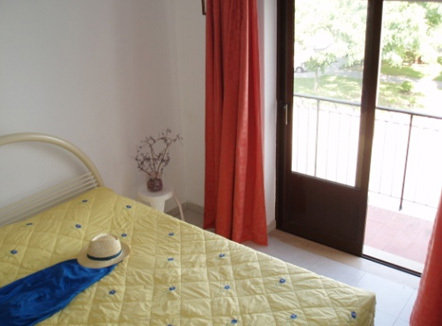 All rooms have access to small balconies and the apartment also has a roof terrace which is shared with the apartment opposite. There is a plastic table and chairs that can easily be taken upstairs to the roof terrace and there is the use of a washing line. 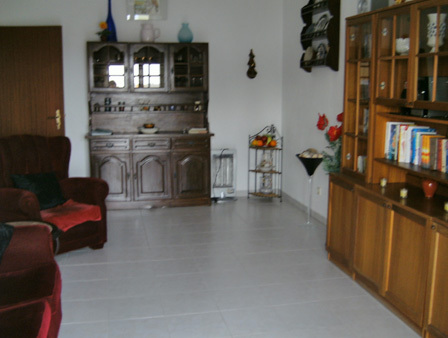 Santa Luzia has several supermarkets, a fresh fish shop, pharmacy and a bank. 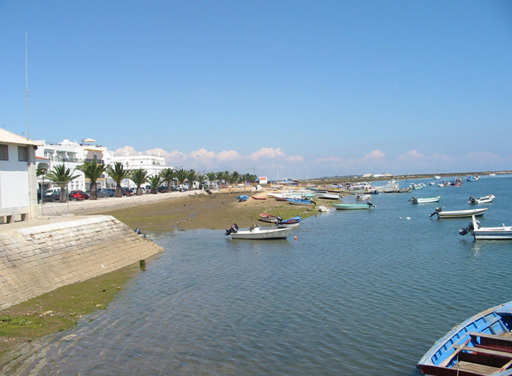 There are many excellent fish restaurants, cafes and bars on the sea front and a local bus stops across the road from the apartment that can take you into Tavira in 5 mins. 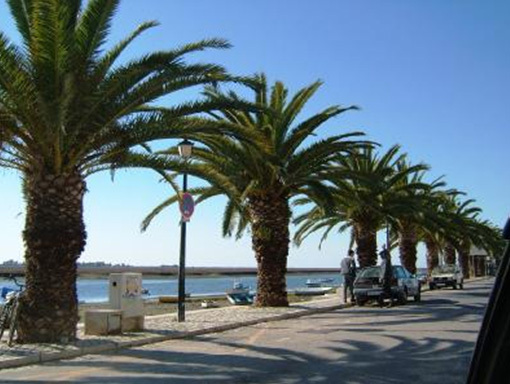 Tavira has a daily fresh produce market, lots of great shops and cafes and in itself is a fabulous place to explore. 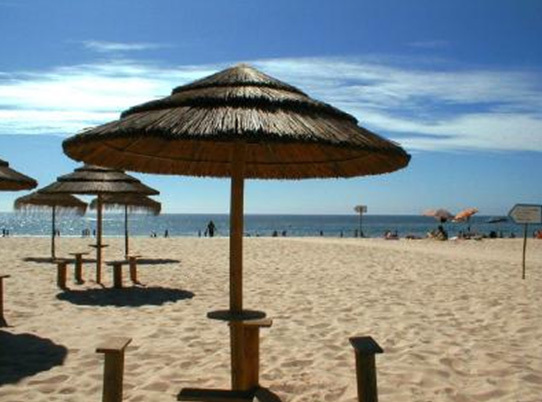 From there you can get a ferry to the Ilha de Tavira which is the natural beach, perfect for sun bathing, swimming, water sports and sporting activities. 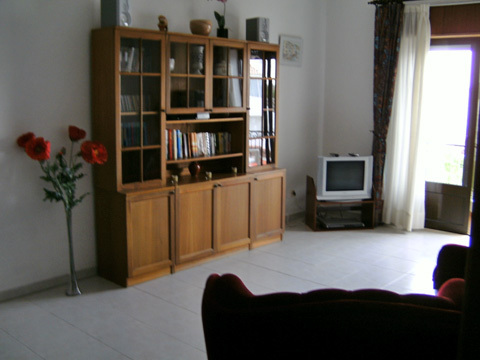 Lounge: sofa, chairs TV, DVD, CD player and radio. 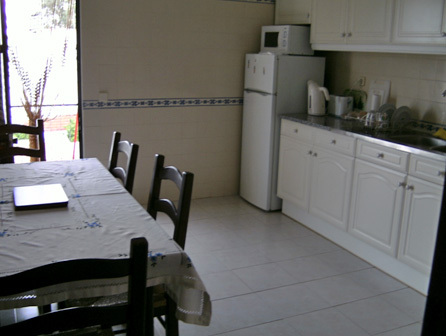 Kitchen: cooker, fridge-freezer, table and chairs. 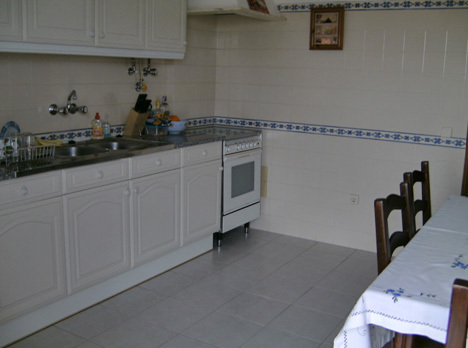 Utility room: washing machine and iron. 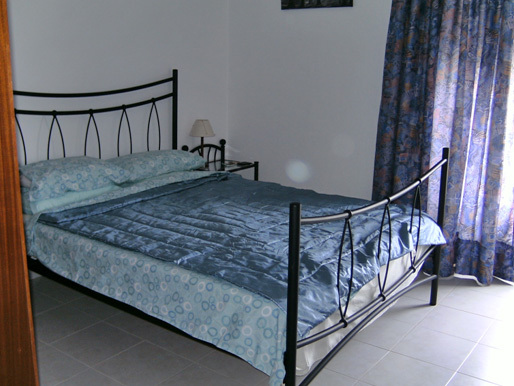 Bedrooms x 2: one with double bed and the other with double bed and spare mattress. Bathroom: toilet, shower and wash hand basin.